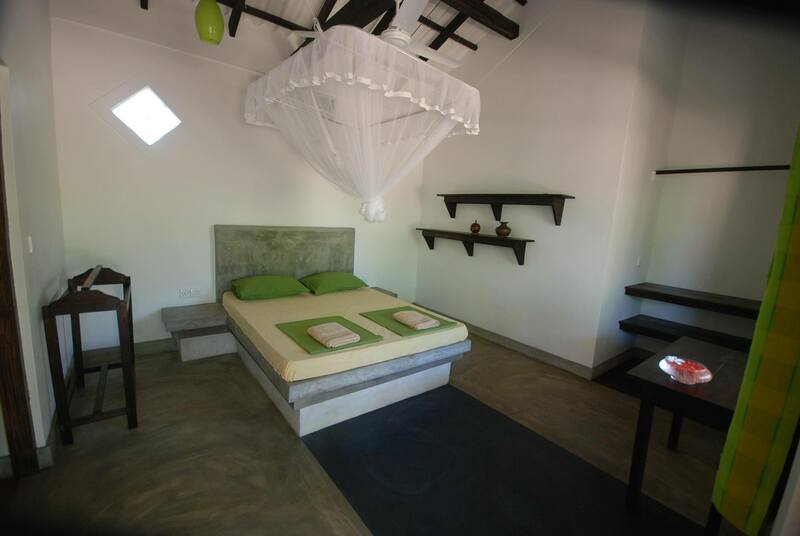 Our spacious Garden Bungalow has two Master double bedrooms with AC and attached bathrooms. Just outside the room is a lovely terace that overlook the peaceful green garden. 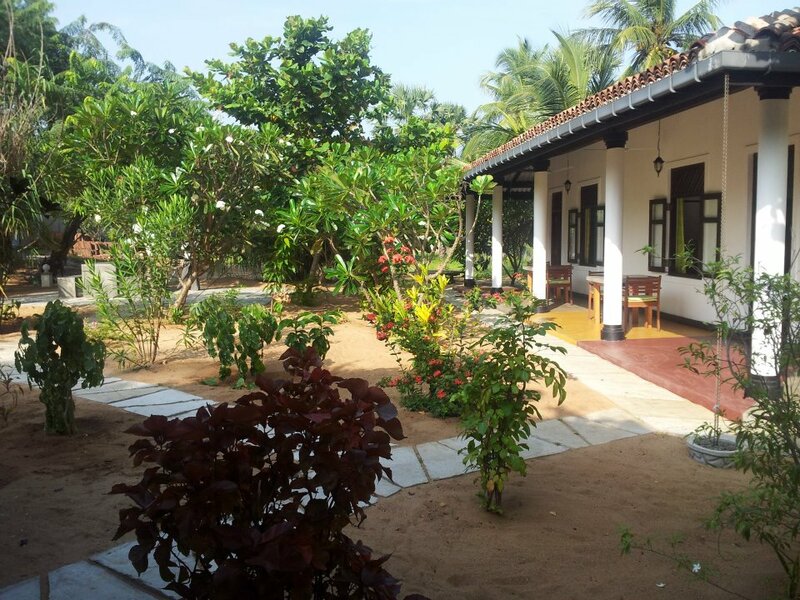 The villa itself has 5 Bedrooms AC or non AC all with attached bathrooms. All you need is in the rooms. 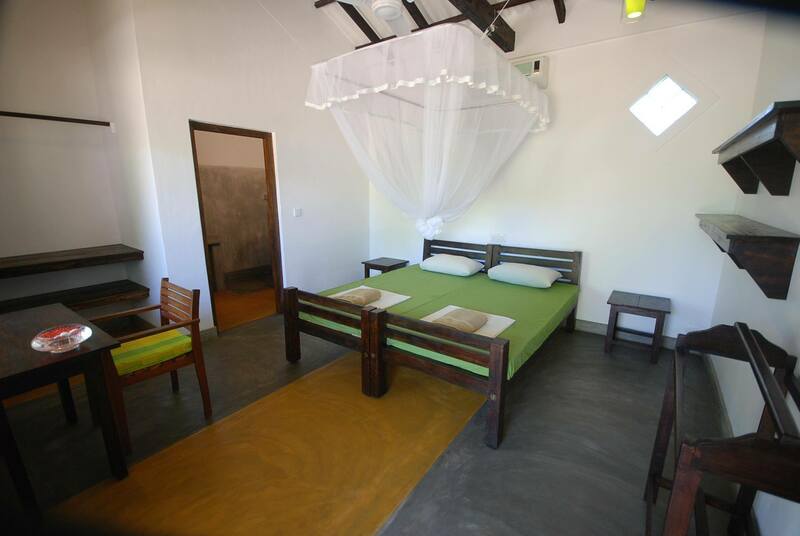 Double bed with large mosquito nets, ceiling fan, wardrobe, writing desk, chair, towels, bed linen, air condition, etc. Arugam Bay is a very popular destination for the adventures tourist. This is a perfect hang out for all levels of surfers. 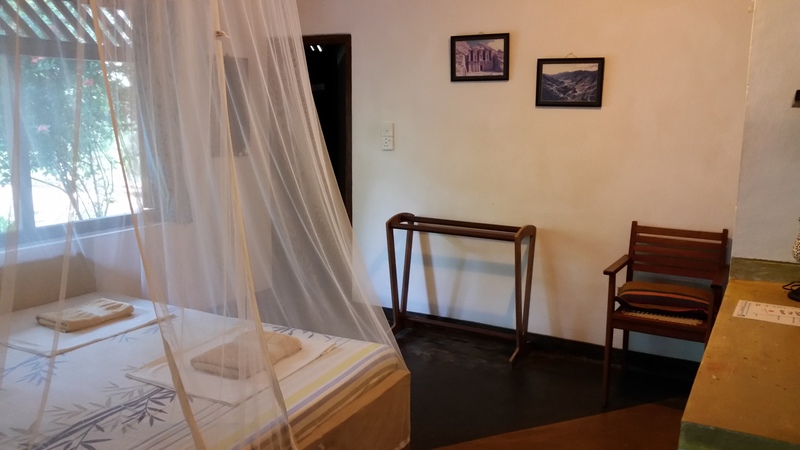 The place is within easy reach of the interesting cultural sights at Okanda and Kataragama and amazing wildlife in Yala and Lahugala National Park. 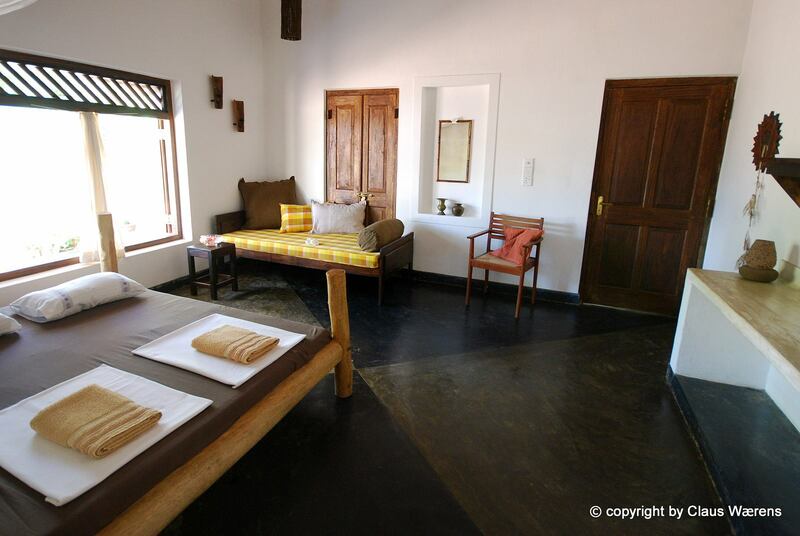 The Villa is situated on the idyllic East Coast of Sri Lanka. In the middle of The Bay, just 100 meters from the beautiful white sandy beach. Arugam Bay is one of the top ten surf points in the world. If you follow this sweeping beach you can walk around ArugamBay Main Surf Point to a deserted beach that leads down to Crocodile and Elephant Rock. 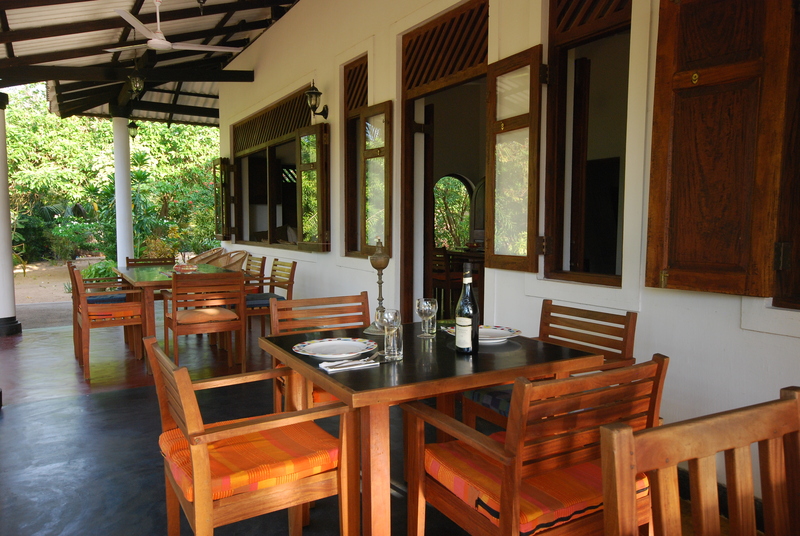 From here you may spot wild elephants and crocodiles in the small lagoon. 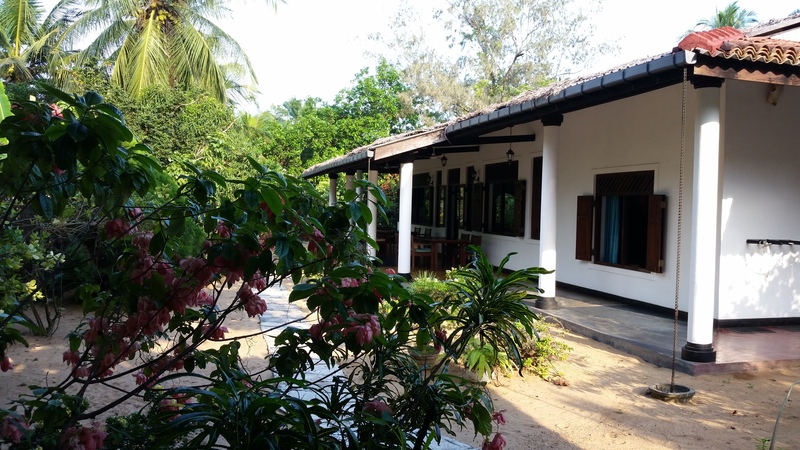 Both north and south of Arugam Bay you can some of the most beautiful beaches in the whole of Sri Lanka.